CARMAT (Paris:ALCAR) (FR0010907956, ALCAR), the designer and developer of the world’s most advanced total artificial heart, aiming to provide a therapeutic alternative for people suffering from end-stage biventricular heart failure, and the European Investment Bank (EIB), which is the bank of the European Union (EU), today announce the signing of a €30 million loan agreement supported by the European Fund for Strategic Investments (EFSI), the central pillar of the Investment Plan for Europe – more commonly known as the Juncker Plan. This loan will support the strategic transformation of CARMAT into an industrial and commercial company via the completion of clinical trials and an increase in its production capacity. The agreement was signed by Ambroise Fayolle, Vice-President of the EIB, and Stéphane Piat, CEO of CARMAT, during a visit of the new automated manufacturing site in Bois-d’Arcy, near Paris. 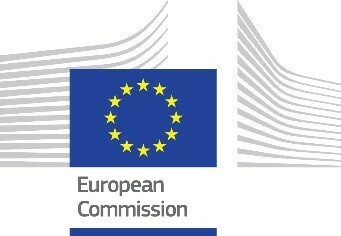 The aim of this type of non-dilutive financing, granted by the EIB with the European guarantee within the framework of the Juncker plan, is to support research and innovation projects developed by companies with substantial growth potential. The CARMAT project meets these criteria as, assuming clinical trials are successful, its bioprosthesis could become a credible alternative to a heart transplant for tens of thousands of patients facing the well-known shortfall in available organs. After having provided the proof of concept of its device in a feasibility study, CARMAT is currently evaluating its bioprosthesis within the framework of an international PIVOTAL study that foresees the inclusion of approximately 20 patients, the second part of this study having begun during the second half of 2018. In Europe, the study is conducted in various countries within cardiac centers of excellence and helps, with this unique medical device, to enhance surgeons’ know-how in caring for patients suffering from heart failure. This project will also have a positive impact on skilled employment. Indeed, CARMAT, which currently employs 180 permanent staff, is planning to double this number by 2025, principally in R&D. This financing will support the clinical evaluation of the CARMAT bioprosthetic heart through to the granting of CE marking, which is expected in 2019, as well as industrial developments and preparations for the commercial phase. Created by the Treaty of Rome in 1958, the EIB is the EU bank, which, together with its dedicated SME support subsidiary the European Investment Fund (EIF), forms the EIB Group. The EIB Group provides its financing and know-how for sound and sustainable investment projects meeting EU objectives. Supported by its expertise and the financial attractiveness lent by its AAA rating, the EIB Group is a key player in getting investment back on track in Europe. It supports the real economy while also attracting other investors by financing concrete projects with an impact on people's lives. EUR 8.6bn of new financing was allocated to support high quality growth and job driving projects in France in 2017. The Investment Plan for Europe, the so-called Juncker Plan, is one of Jean-Claude Juncker's top priorities. It focuses on boosting investments in Europe to create jobs and growth by making smarter use of new and existing financial resources, removing obstacles to investment and providing greater visibility and technical assistance to investment projects. The European Fund for Strategic Investments (EFSI), which is the central pillar of the Investment Plan for Europe, enables the EIB Group to invest in more, often riskier, projects with high added value. EFSI is already showing concrete results. The projects and agreements approved for financing under EFSI so far have mobilised more than EUR 371bn in investments and support around 856 000 SMEs across all 28 Member States.